Ethan Catteruccia was a 21 year old young man who was an absolute joy to be around, and seeing his smile will be greatly missed by all of our family and his many friends. The son of Trey and Gwen Catteruccia and younger brother of Shea and Trenton Catteruccia, Ethan loved the outdoors and spending time with his family and friends fishing, hunting and 4 wheeler riding. On the morning of March 10th 2012 he was killed in a car accident. 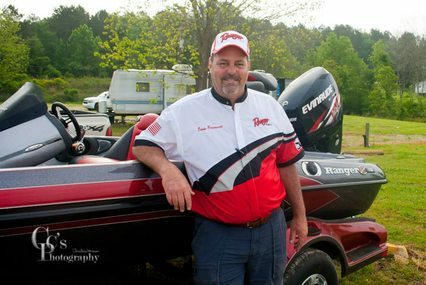 Knowing I and Marvin Delong have fished bass tournaments for over 20 years, Ethan’s two brothers (my nephews) approached us with the idea of putting on an annual bass tournament in Ethan’s name to give all the proceeds to a needy cause. And this is how the EMC Scholarship Fund began. We called out to many of our friends in various businesses to ask their opinion and if they would support the cause. The response was unanimously a YES. So, on April 20th we will hold the Seventh Annual Big Bass Tournament on the Red River at Midway Marina in St.Maurice, LA. Our goal is to raise money to give to surrounding parishes' school boards so they can allocate it to needy graduates who are furthering their educations by going to college.